Connect to GreatCloud from anywhere with Skyroam. – Great White North Technology Consulting Inc. So you’re a world traveler. Remember looking at your phone bill after you got back from that nice vacation in Italy? Roaming fees and data surcharges are a killer right? Now you can stay connected to the Internet and GreatCloud from almost anywhere without having to worry about roaming charges! If you’re planning on traveling out of the country to any of these locations and want to stay connected let us know, we can help. 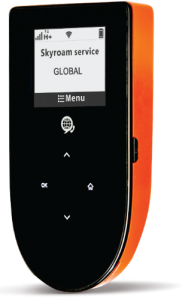 We’ve got the Skyroam wireless hotspot that will keep you connected worldwide at a flat rate per 24 hour use.